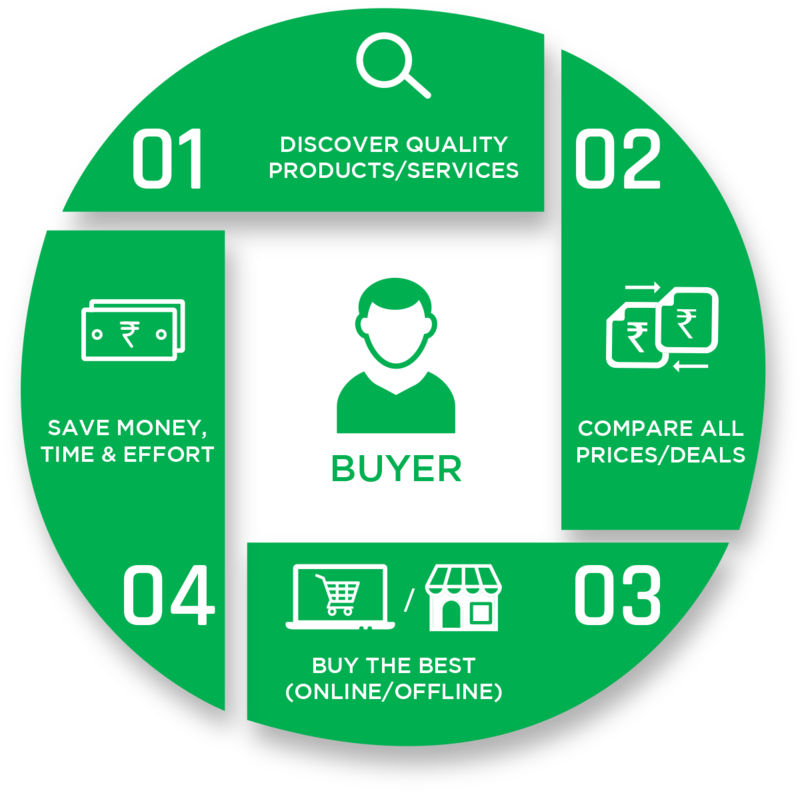 Xerve.in is India's First One-Stop Platform for All Personal and Business Buying Needs. 2. both Online and Offline Purchases. Popular Consumer Needs: Books, Cosmetics, Electronics, Fashion, Furniture, Mobiles, Perfumes, Restaurants, Recharges, Travel etc. Popular Business Needs: Office Electronics, Office Furniture, Office Stationery and Supplies, Industrial Tools and Supplies, Design, IT & Software, Manufacturing, Marketing, Packaging, Training etc. 4) Save Extra on Every Buy. 3) Save Extra on Every Buy.